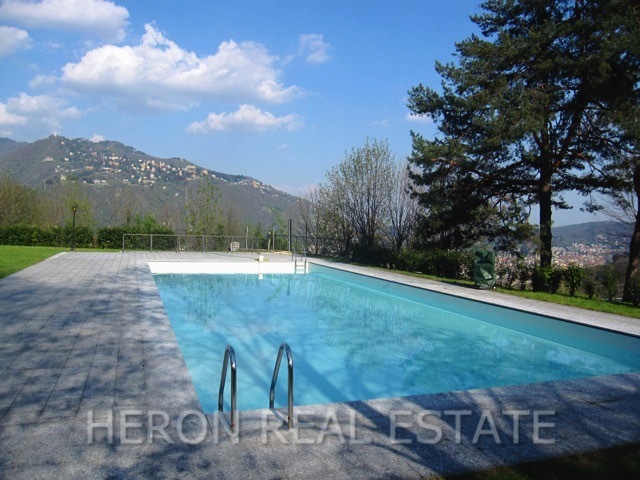 Situated in a tranquil position on the hillside above Como, Villa Eros, a splendid 19th century villa, enjoys an excellent exposure to the sun and enchanting views of Lake Como, the city of Como and the surrounding mountains. The prime location offers maximum privacy and is only a few minutes’ drive from Como, the Swiss border and the motorway connecting Lugano with Milan. From 2005 to 2007 the villa was totally renovated to a very high standard and divided into 20 units. The shared park of approx. 30,000 sqm and a shared pool with sun-bathing area offer a peaceful setting for relaxation. The apartment is accessed from the internal courtyard or directly from the underground parking area by an internal lift or staircase. With approx. 200 sqm of living space this prestigious apartment on the ground floor is ideal either for permanent or holiday occupation. It is composed of an entrance area/study, an elegant and light flooded living room and dining room with access to a 25 sqm winter garden with beautiful views, a fully fitted kitchen, a master bedroom with ensuite bathroom with jacuzzi, a second double bedroom and a bathroom with shower. 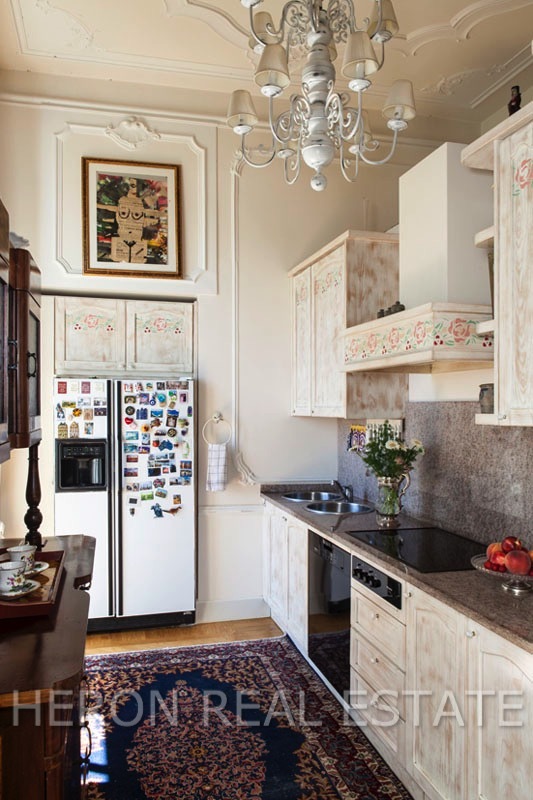 The apartment impresses with its elegant interior and is characterized by period details such as stucco work and plastered ceilings, as well as high quality features including wooden parquet flooring, underfloor heating, double entrance and an original fireplace. 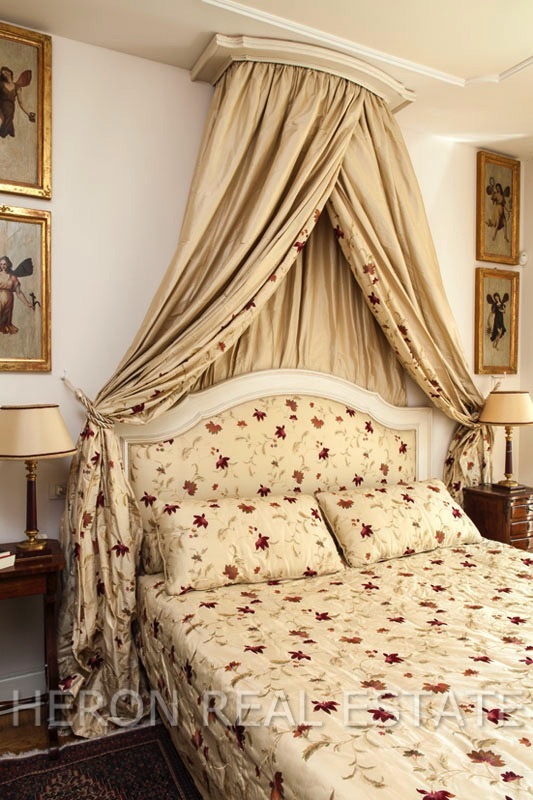 Most rooms offer views of Lake Como and the city of Como and have access to the well tended private garden of 300 sqm with a romantic gazebo. Further benefits include a double garage, a single garage and uncovered parking for two cars within the gated property.